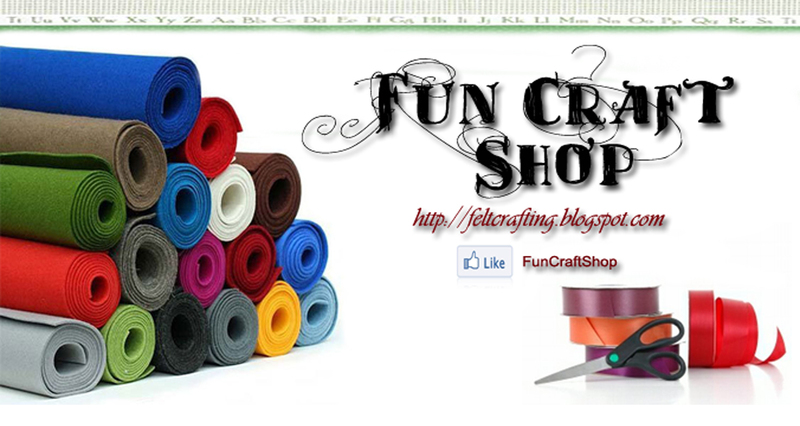 FunCraftShop: 123 Felt Project: How to? 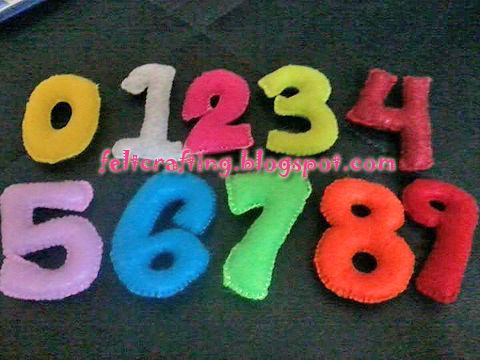 123 Felt Project: How to? since ive finished with the ABC felt project, i started to have 123 Felt Project. since there are only 10 letters, i finished them in 1 week time! weee! owh, mind the picture, it was taken using my handphone. hence the quality. and no, they are the same size but again, due to the angle of the handphone, it looks like 5-9 are slightly bigger compared to 0-4.
again it is so simple like the ABC project. cut the printed alphabets and trace it onto the felt. each letter should have 2 felt (front and back). insert the fiber and sew the opening. 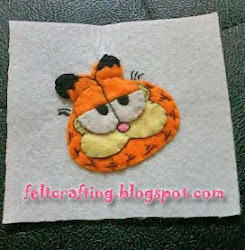 so we have finished both ABC and 123 Projects, let move to Alif Ba Ta Felt Project!